Incredible, isn't it? Here we are, watering dry earth and nudging those summer tomatoes along, battening down the hatches on 44C degree days. and already it's time to think about getting organised for spring and winter. Lettuce is tricky at this time of year. It wants to bolt in the heat and once it does, the leaves can become very bitter. And yet this is the time of year we most feel like eating it. A contrary vegetable. 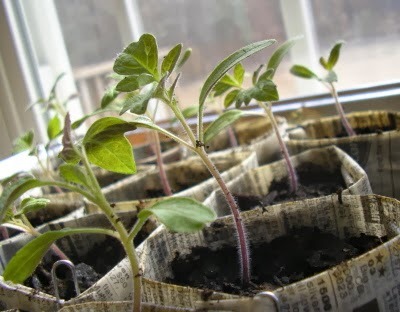 So try planting some seedlings now for late summer picking and then sow some seed for an autumn crop as well - cool down the seed in your fridge before sowing. You might have noticed the odd bit of shade-cloth draped over a few plots during the recent heatwave. That's to protect both plants and any fruit such as tomatoes from scorching. Not a bad idea for short-term protection (you need to remove it once the worst of the heat is past). Of course, one of the most important things you can do to protect your crops in the heat is mulch, and mulch well, with lucerne or pea straw, to hold in the water and protect the root area from the full force of the sun. And don't forget to protect yourself while you're out there. We have spare hats and sun block in the shed at the gardens if you ever need them.